Labour would be able to form a majority government in a general election if it was held tomorrow, a new poll has indicated. The latest YouGov survey for The Times found that 42 per cent of respondents would back Labour in the polls. 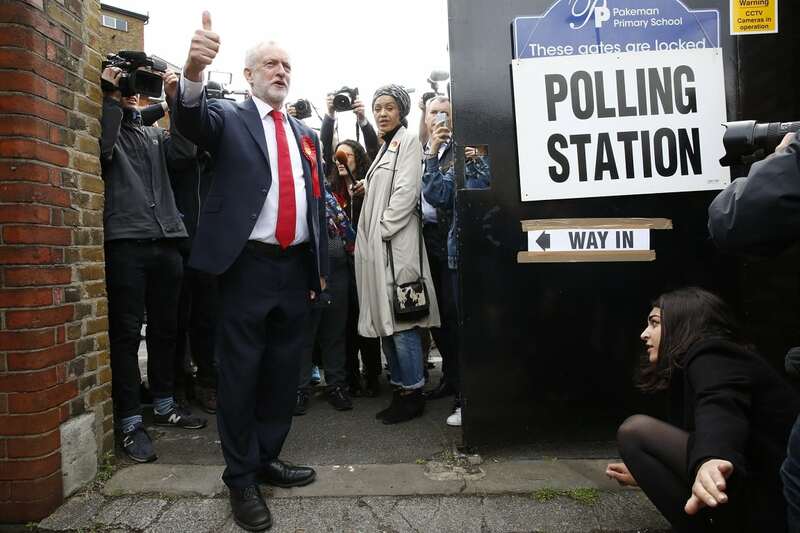 Jeremy Corbyn’s party continues to capitalise on a surge in support following the snap election in June, with the Conservatives suffering a series of devastating blows. The Liberal Democrats also saw a slight improvement in its fortunes with 7 per cent of votes, compared to 6 per cent last month. The poll, which surveyed 1,660 people between September 12 and 13, found that 9 per cent of people would vote for other parties including the SNP and Ukip, down from 10 per cent in August. Robert Halfon, who served as Minister of State for Education between 2016 and 2017, today said the Conservatives must undergo a “radical, counter-intuitive revolution” if they are to stop Jeremy Corbyn winning power. Speaking to the Telegraph, he said that while voters back Labour “with their hearts” they support the Tories with “gritted teeth”. hes actually good at іt. various popular features of extra cellphone and I will require the Gresso sol model as an example.